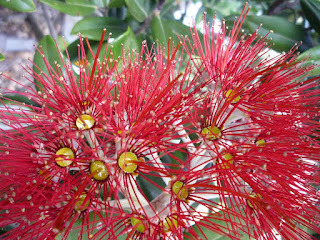 We have had a very poor showing of pohutukawa flowers this year. They bloom on last years growth and the trees are covered in new leaves so next year should be a cracker. 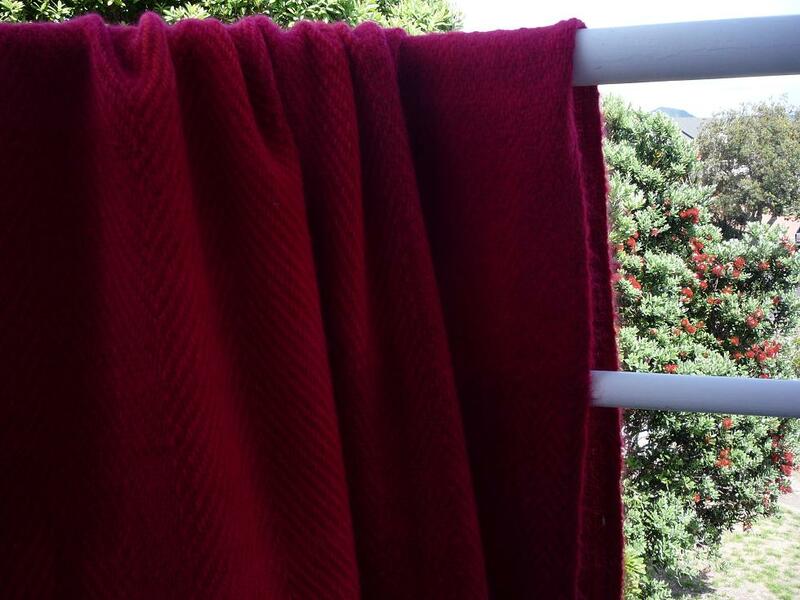 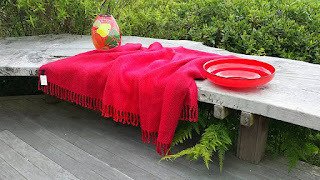 Doesn't stop me interpreting pohutukawa in a blanket. 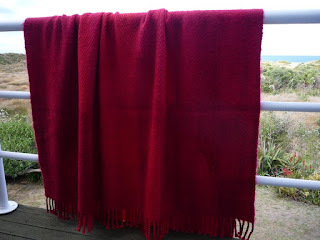 and the second is in Inspirit Gallery waiting for a new home.